This Old Post is no more working for you guys. I have a trick for you all to play Need For Speed Most Wanted Online Just all you have to do is to download a application software called plan which is just 280kb in size. I will give you a link. just click here pLan Deepagony.rar and download the plan application to your harddisk, unrar the file, double click on plan icon to install it. As soon as you click plan it will update the software in a second and minimizes to system tray. Now right click on it and select the option Internet and minimize it again. Now go to game as usual and open LAN and wait for a minute u can see a list of servers there playing Need For Speed Most Wanted. Join them with a name and go to session list and join a session in session list and press enter (leave the session list to default any any any). 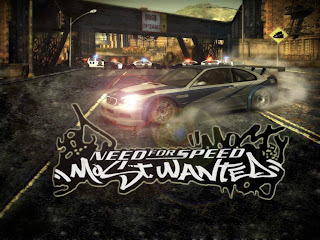 U will be connected to a server and Now U can play Need For Speed Most Wanted Online Freely. Don’t forget to open plan every time when you want to play the game online. Thanks dude. u really helped me. people who really want to play nfs online must follow these easy steps to play. i am using windows 7, can someone help me here? it crashes every time i try to connect to any game. NOTE: IF this doesnt work, run SPEED.EXE in windows XP compatible mode. Thanks Rahul for a wonderful advice. can anybody solve my problem??? it will update dude and which operating system are u using?????? if its windows 7 we have some issues which are not resolved yet. but some can find solution with win7 as u can see rahul up there. please mail me if u have any issues i will certainly help you out. Samuel Tatipamula :: dude i have mailed u and u didnt reply me did that new process work for u???? if yea please share with us. bro…m using windows 7…m getting out of my game when iselect session match…i runned it as admin…but at that time cant find and servers…help me..!! yes yeshwant this happens with windows. read the above comments where people have tried using it as run compatble with xp and run the file so do like that. It's working very fine on XP Pro SP 3 xD Have fun! Hey man, I am able to see servers and join, but after I click on sessions match i just get a window with 3 options (damage on, etc) and after that the game crashes.. some solution plzzz.. thnx! when i start pLAn game client for playing need for speed most wanted,it shows error in news section (Error during renovation of the news) and there is no server showing. plz plz plz plzzzzz solve this problem. Please mention the version of plan which u are using and by the way there is not news section in plan which u need to go and have a list. everything will be automatically done. just follow the instructions carefully again and i think u may have not clicked on internet in the app at taskbar. I think they have disabled the old version and released a new one. better download that and try. i cant understand russian language which there setup instructions for new plan. Yea Najo, I have observed that the plan servers are not working even for me. i think they have removed the news feed updates and disabled the app. so its better to download the new version of plan here http://plan.volia.org/ some times even this site wont work. just google it wih plan volia and u will find the app. Guys listen, they have removed the old servers which were working for plan. now they have updated with a new plan which is of 10mb try that. If u want to download the new plan, go to http://www.mediafire.com/?w8630wsvr5c7gl0 and download it. i will soon make a post how it works and etc. This Old Post is no more working for you guys. I downloaded pLan, run it, check the “Internet” in the menu from toolbar, run the game but no any servers listing in LAN. I go Win XP SP2, and NFS MW 1.3, what do I miss? You have your answer in above comments. you cant play it dude. Game ranger or garena will also be disabled. dame thats good this thing help me man Txs..
Hey Satish..pLan is’nt working… ERROR during the renovation of news..
mata pcchi mat karo ye batao ke online kase khalta hai …………………..
i play this game to home and many time finish gmae.